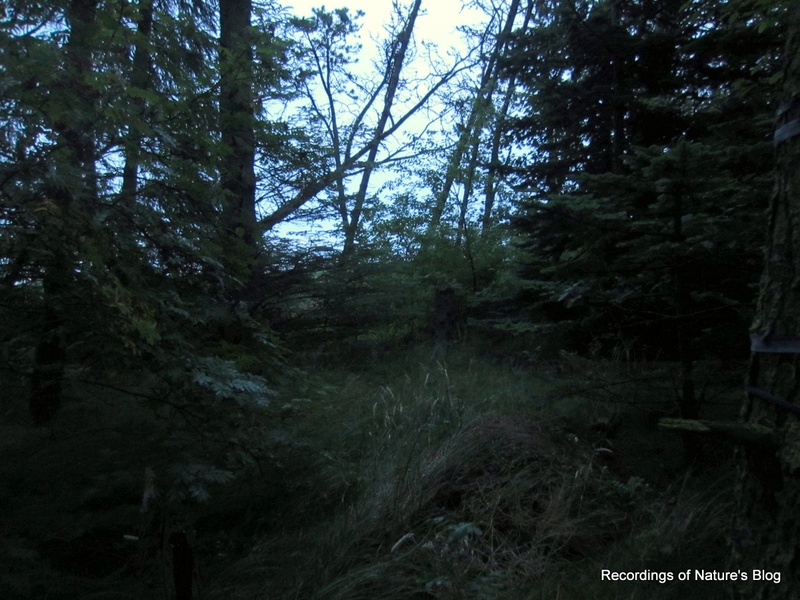 This is an unattended night audio recording from July 22nd-23rd 2017, captured near Fjerritslev in Northern Jutland. This coastal rural area is dominated by sand dunes systems, heaths and plantations, and overall quite sparsely populated. 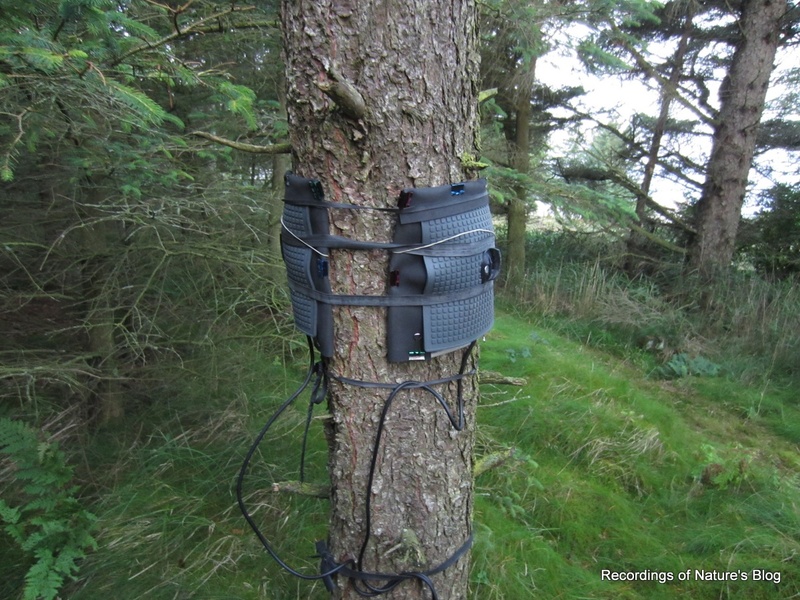 The recording was captured inside a smaller tree group with bushes near an old farm building and next to an open field. An ant pile was just in front of the recorder, but I think it is not audible. The weather during the night was partly rainy and later slightly windy – typical weather for this summer. 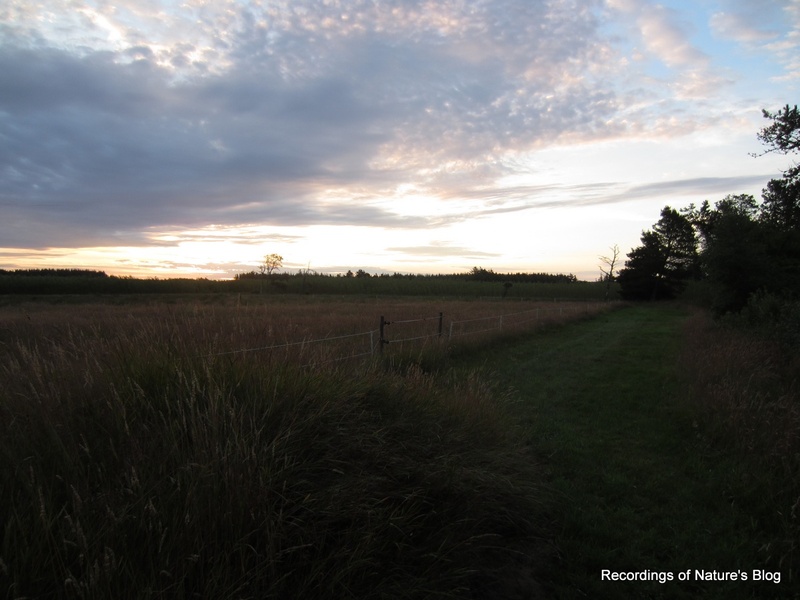 For a long time I have been curious to capture the ambient night sounds in an area far away from the city and without the usual and constant traffic noise. However it turned out that a harvester was working the half of the night producing quite dominating deep rumble. 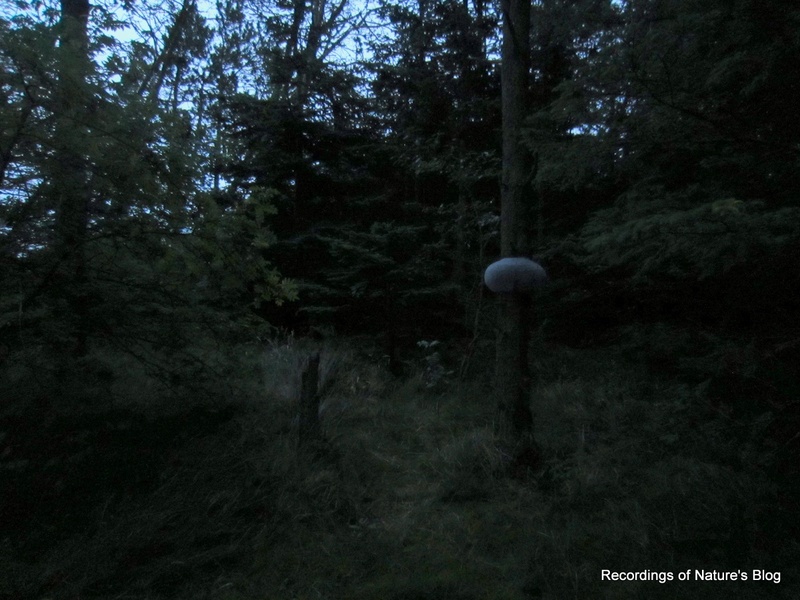 First clip is from 23:00-0:15 featuring mainly rain coming and going, a persistent harvester sound and barking dogs. 00:03 Cranes far away. Also the nearby horse on the field can be heard. Second clip is from 04:00 – 5:00 am. With the harvester gone, wind sounds have taken over. A relaxed morning choir emerges slowly during the recording. The birdsong has now clearly declined compared to in the spring.